Background on the EITest campaign is available here. Shout out to @Sec_She_Lady for originally tweeting the #AnglerEK #IOC that led to this blog entry. Shown above: Tweet that allowed me to generate today's infection. Shown above: Chain of events for today's infection. 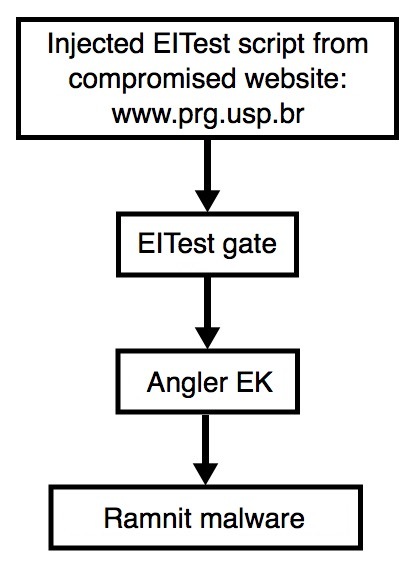 Shown above: Second pcap filtered in Wireshark. Shown above: Alerts from Security Onion for the second pcap using Suricata and the EmergingThreats Pro signature set.